An often forgotten room in the home is your dining room. Traditionally, this is where the family gathers to eat meals, but in most recent days has been replaced by the kitchen or family room. That being said, a dining room makeover can transform your entire home. What can you do to transform such an under appreciated room in your home? Whether it’s a new table or replacement windows, there are many ways to make your dining room more attractive. In fact, we’ve come up with 7 dining room makeover ideas to help improve its overall appeal. Let’s get started! At the center of every dining room is a table. Even though many families prefer to eat near a TV, almost every dining room has a table as its centerpiece. That means it plays a huge role in improving the look of the room. Many homeowners prefer to have a large table in their dining room. It’s common to find 6-8 seated tables in homes with even 2-3 people. It’s a great way to entertain guests at a dining party and ensures everyone has a place to eat. There’s more to a dining room table than the table itself. 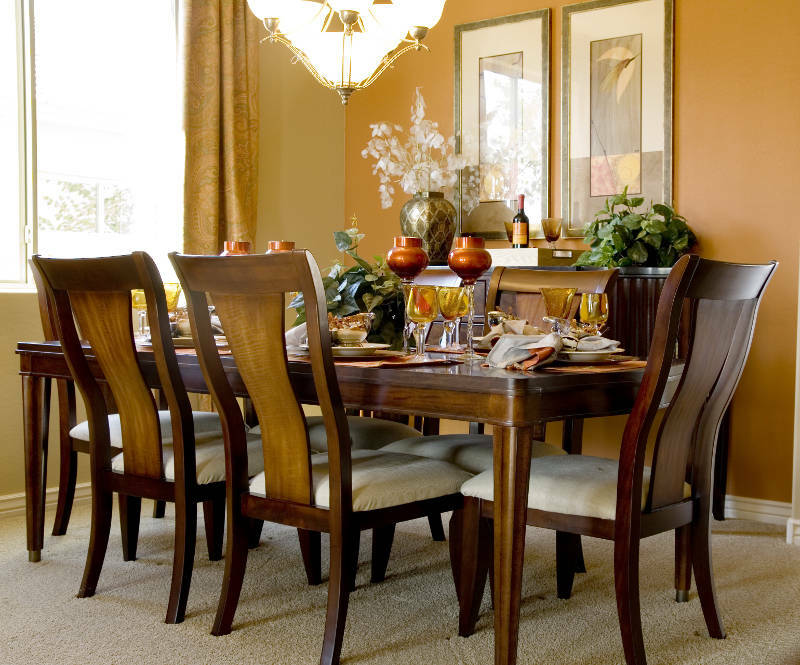 Check out a couple of aspects you should consider to improve your dining room table. While many homeowners with wood tables would like to show it off, a table cloth isn’t a bad idea. It will protect the wood from drink rings and burns from hot plates. 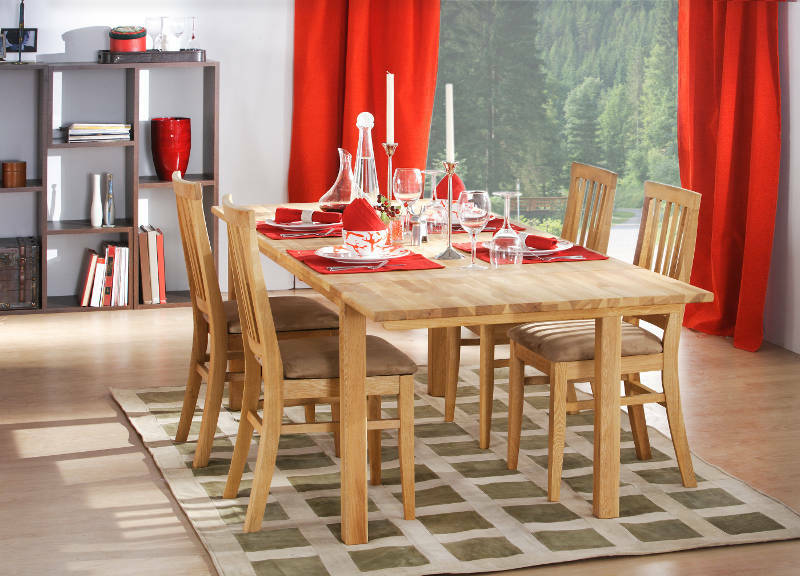 When dinner is over, you can take it off and show off your beautiful, unscathed wood table. If you do have a table that you’re looking to replace but haven’t gotten around to it yet, then a table cloth can cover it up. No one would know if you have a new wood table or it’s still your old, worn out one. It buys you a little extra time. There are many different designs to table cloths which will allow you to get creative. It’ll allow you to personalize your dining room table. There are even holiday-centric table cloths to help make your dining room more festive. While your table is the centerpiece of your dining room makeover, you’ll need a centerpiece to the table. Many homeowners have something in the center of the table to give it a decorative touch. There are infinite ways you can go with your table centerpiece but allow us to give you a couple of suggestions. A vase of flowers is classic centerpiece. Not only are flowers absolutely gorgeous, but they smell great and give your table an earthy, more lively feeling. They’ll also look great no matter the holiday or time of the year. Another common centerpiece is a candle or candelabra. Candles really set the mood and enhance the look of your dining room. It seems simple but it can change the overall look of your dining room. Plus, candles typically have beautiful scents and prevent you from using electricity to light the room. Speaking of dining room makeover ideas that help reduce your energy usage, windows are a great addition as well. They allow natural light into your home which will prevent you from needing to turn on the lights during the day. Also, natural light has many positive effects on your mood. 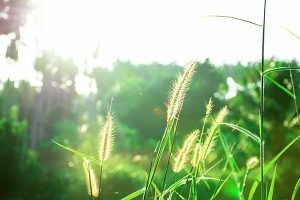 Studies say that natural light will make you more productive and make you happier. Windows do more than allow light into your home. If you get vinyl windows, your dining room will be more energy efficient. 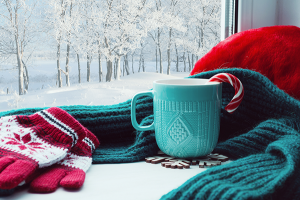 Since both the glass and the frames are insulated, heated and cooled air from your furnace and air conditioner won’t be able to escape. Your dining room will be more comfortable and you’ll spend less money on your energy bills. Plus, vinyl windows can improve the overall look of your room. Wood windows warp and rot when exposed to moisture and require a lot of maintenance to keep their looks. If you slack on that maintenance, your wood windows will become the centerpiece of your dining room because they’ll look terrible. Feldco is Chicago’s best vinyl window provider. Our product specialists will measure your window openings and find the perfect window to fit your needs. 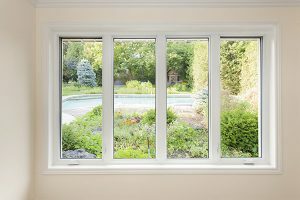 Get a free quote now and see why over 350,000 homeowners have trusted Feldco with their replacement window needs. A curio is a fantastic addition to your dining room makeover. If you’re not sure what a curio is, it’s a large display case that’s usually found along a wall or in a corner. It’s made to house statues, china plates and various valuable knick-knacks that you’d like to display. Curios are a perfect piece to add to your dining room because they add a decorative touch. Many homeowners keep China or other expensive plates and silverware in there and only use it when they have company. Plus, curios are often conversation starters because of what they contain. It’s a great way to get guests eating in the dining roo rather than the kitchen or the family room. Much like a curio, paintings are a great conversation starter and are perfect for dining rooms. Since art is subjective, it gets people talking about what they like or dislike about a painting. If art isn’t something that interests you, consider hanging pictures on the wall. Whether it’s wedding photos or pictures of your children, they’re sure to start conversation just as much, if not more, than any painting. Hanging pictures or paintings is also a good idea because it gives your walls a more interesting look. If they remain bare, the room can become boring and discourage guests from eating or spending time in there. If you want to transform your dining room into a more integral part of your home, you should highly consider getting a patio door. This will open up your dining room and give you all sorts of possibilities in entertaining your guests. How would a patio door make such an impact on your dining room? Patio doors – specifically, sliding patio doors – maximize the amount of natural light coming into your home. It burs the lines between inside and outside which makes the room feel larger. Also, if your patio door opens up into a deck, it’s like having an extension on your dining room. People can be inside and outside while still being able to converse. Patio doors, like vinyl windows, can also be energy efficient. The glass will need to be double pane and argon gas-filled which the frames should be made of vinyl so they can be foam insulated. This will prevent heated and cooled air from escaping, saving you money on your energy bills. We mentioned that adding a patio door helps add the feeling of togetherness. Nothing does that more than having an open concept home. If you don’t already have an open concept, this will take a little work and construction to achieve but it’s highly worth it and will increase the value of your home. An open concept is when there are no walls separating your kitchen, dining room and living room or family room. So if you’re having a party and guests are in your dining room, kitchen and family room, everyone will still be together and able to enjoy each other’s company. This also helps open up your dining room and your home in general. All of the rooms will feel larger and you’ll have more options for furnishing and lighting. While all of these ideas sound great, overcrowding your dining room is a terrible idea – especially if it’s smaller to begin with. This will make the room feel smaller and claustrophobic. People will be discouraged to ever go in there and your dining room will be the most forgotten and unused room in your home. When a dining room makeover is done right, it can improve your entire home. The value can increase and it’ll open up more possibilities for hosting guests. There are many ways to go about improving your dining room. Maybe all you need is a new table or perhaps you want to create an open concept. Whatever you choose, make sure that you don’t go overboard. If you want new windows or a patio door, get a free quote from Feldco. 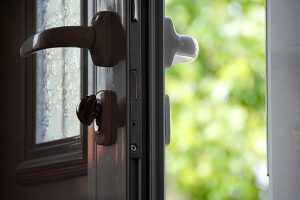 We’re Chicago’s #1 window and door company. We pride ourselves in making sure that each and every customer is happy with their new products. It’s why over 350,000 homeowners have trusted us with their home improvement projects.